THE BLACK SEEDS are Australia-bound on their headline album launch tour, with special guests to be announced soon. Tix on sale now. Fabric – the band’s 6th release reaches #3 on Billboard Reggae Charts, #3 on ARIA Jazz & Blues Charts + #4 on NZ Album charts. 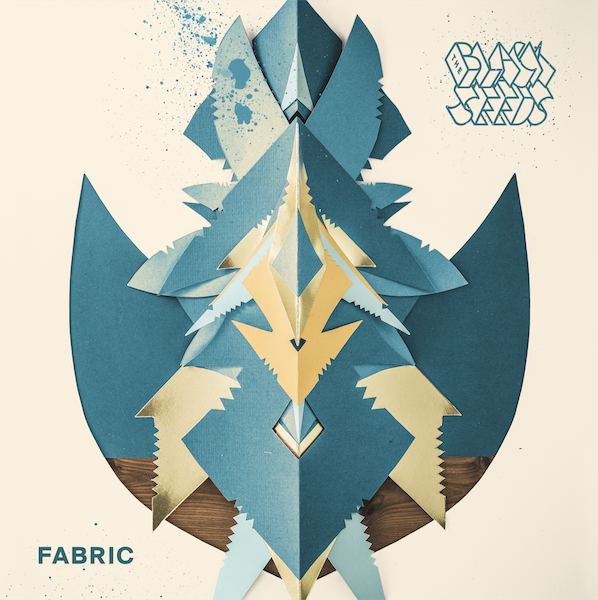 In September of this year New Zealand’s The Black Seeds released their highly anticipated sixth studio album Fabric. The album reached #3 on the US Billboard Reggae Charts, #3 on the ARIA Jazz & Blues Charts and #4 on New Zealand’s Album Charts – drawing acclaim from critics and fans around the globe. The South Pacific reggae-soul legends have shared the length and breadth of their luscious and diverse new album – including the anthemic summer tune’Better Days’, the dance heavy ‘Freakin’ and their brand new track ‘Back To You’ (read about it here in the Huffington Post premiere) with sold-out appearances across their homeland over the past month. Described by Clash Magazine as “one of the best live reggae acts on the planet,” The Black Seeds legendary eight-piece live show infuses raw energy and good vibes wherever they go, fueling multi-platinum sales and a growing worldwide following. With countless sold out tours behind them and performances at many of the world’s leading festivals, The Black Seeds live show delivers a soul party on time, every time. Australian audiences get the chance to offer another warm welcome to the band when they return for a series of shows in November, taking in The Sunshine Coast, Brisbane, Brunswick Heads, Sydney, Long Jetty and Melbourne before the final shows in Margaret River and Fremantle. With long, hot Summer nights just around the corner, there’s no better way to relax into the groove than with the sweet soul filled reggae stylings of The Black Seeds. Get yourself amongst it. Full tour date details below. www.longjettyhotel.com.au 405 The Entrance Rd. Fabric is a twelve-track album of bold, groove-heavy tunes that perfectly captures The Black Seeds’ characteristic brand of reggae-funk fusion. Musically, there is a grand expansiveness that sets over the collective of tracks on Fabric, allowing for each song to breathe and exist on its own, but also comfortably within the context of the wider picture. In other words, it is a prolific and multi-faceted mix of moods, feelings and stylistic influences, all brought together by the core reggae sound of The Black Seeds. A socio-political conscience shines through on tracks like the striking ‘Beleza’ (which features the voice of ‘the father of linguistics’, Noam Chomsky) that sings “It’s only a matter of time, Before you spend your money and lose your mind, people of this world let’s listen, don’t play a fool to the system.’’ The mesmerizing ‘Lost In The Bush’ takes The Black Seeds sound down a sci-fi avenue, fusing the usual reggae ingredients with heavy synths to morph into a squelchy grimy strut, while the hypnotic ‘Lightning Strikes’ takes a melancholic turn with its spacey reverberated horns. Another standout on the album is the deep, dub heavy love song found in the title track. But where there is darkness, one only needs to turn on the light. And in classic Black Seeds fashion, the light reaches in through with the warm affirmations of Weir and Weetman’s words, adding a classic element to this new Black Seeds record. The uplifting album opener ‘Better Days’ ensures us that “better days are coming, lonely nights are leaving”, while tracks like ‘The Weaver’ remind us that love will conquer all pain. Overall Fabric shows The Black Seeds’limitless creative energy for what it is – always moving forward and progressing without compromising the soul of who they are, while always remaining conscious of the current world around them.